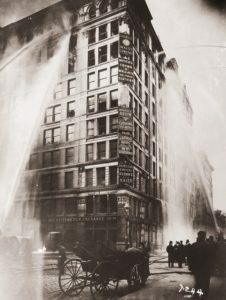 On March 25, 1911, one of the deadliest disasters in New York’s history unfolded over the span of 15 tragic minutes as fire tore through the Triangle shirtwaist factory. 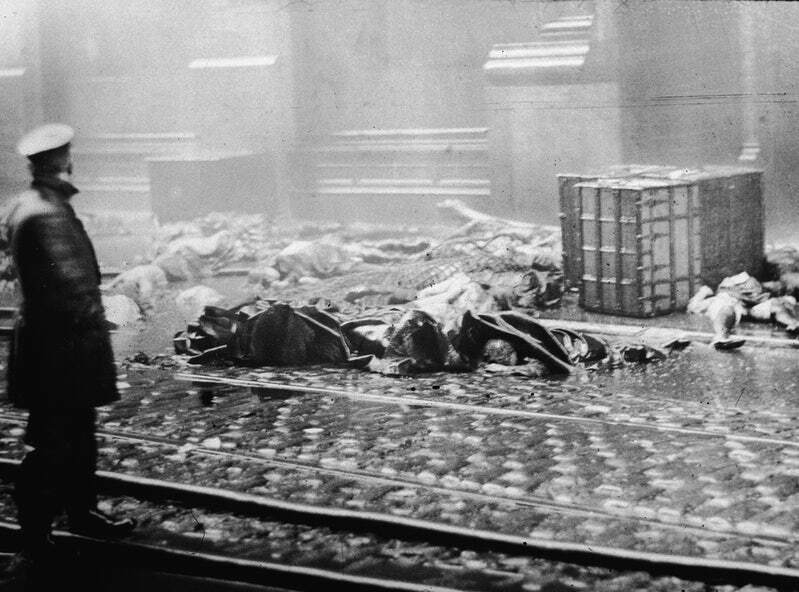 One hundred forty-six people, mostly young women and girls, and many of them recent immigrants, died in the fire, unable to escape through the doors that management regularly locked to prevent workers from leaving. Prior to the fire, the women who worked at Triangle Waist Company had already tried to organize and improve conditions at the factory. A massive strike by women’s shirtwaist makers in 1909, known as the Uprising of 20,000, began with a spontaneous walkout at the company. For years, the International Ladies’ Garment Workers Union (ILGWU) had been actively trying to organize the New York garment industry and address poor working conditions and low pay. 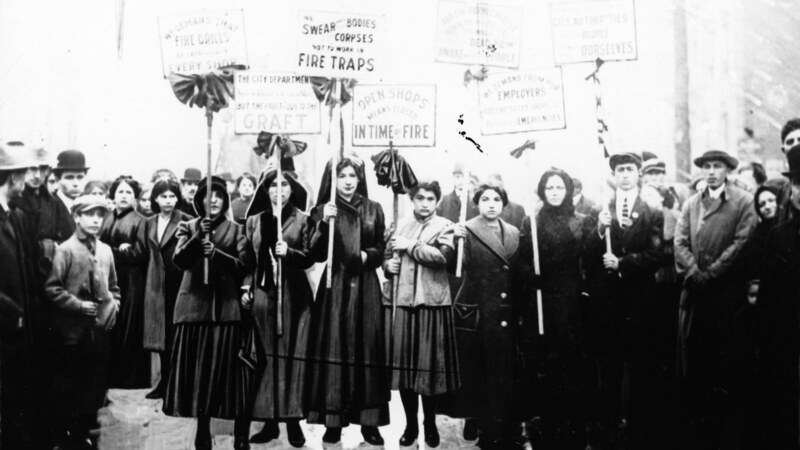 While the union was able to negotiate a contract covering most of those workers after a four-month strike where women were regularly beaten and arrested, Triangle Shirtwaist refused to sign the agreement, leaving workers unprotected. “Well, the only thing I can tell when we were on strike, we weren’t allowed to picket so we used to go with tools, in our sleeves. It was a regular Korean War. So they put out – that’s right. They – you know we weren’t allowed to picket at that time.